Lafayette College was founded in Easton in 1826. Named after the well-known French general the Marquis de Lafayette, the college held its first classes in 1832. Students took courses in mathematics, classics, and philosophy. The school faced significant financial difficulties during its early years, and ended up being supported in part by the Presbyterian Church. 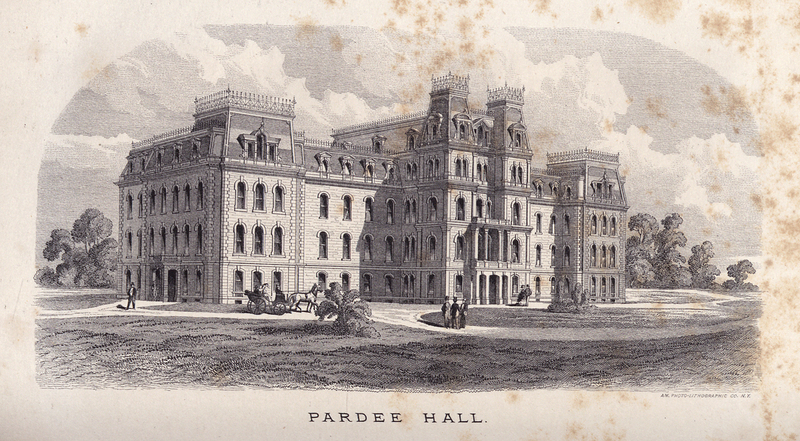 In the mid-1860s, Ario Pardee, a successful coal operator from Hazelton, gave Lafayette money in order to establish courses in science and engineering. Like Asa Packer, Pardee knew that the Lehigh Valley needed more engineers. Other than being a devout Presbyterian, Pardee had no connection to the college. With this gift, Lafayette built Pardee Hall, which opened in 1873.